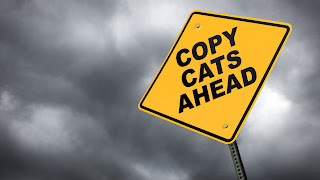 "After the horror, come the copycats. " ~ Jim Geraghty, National Review. 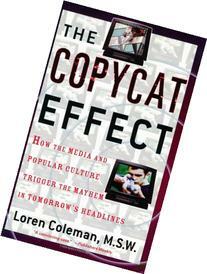 Readers of The Copycat Effect: How the Media and Popular Culture Trigger the Mayhem in Tomorrow's Headlines will not be surprised by what we have seen in the wake of the Dallas police killings. There is no left or right in this insight. Only the harsh reality that copycats exist. Please note the military background, mirroring that of Micah X. Johnson's own record, for several of these gunmen. Does one hear faint echoes of Manchurian Candidates in these incidents? Vulnerable ex-military men who have been triggered by recent events? 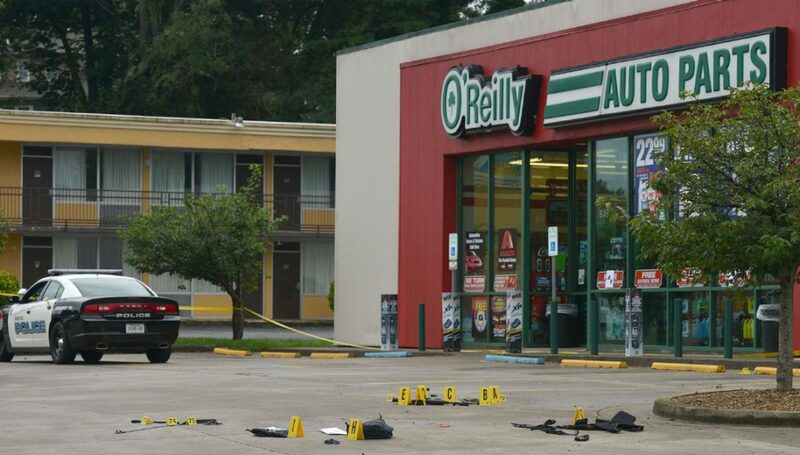 Dutton said one gunshot hit the officer in the abdomen, just below his protective vest. Other shots hit Hancock's vest. The officer returned fire and wounded the suspect. Troupville, now virtually abandoned, had been named after Governor George Troup, for whom Troup County, Georgia, was also named. Valdosta was named after Troup's estate, Val d'Osta (occasionally the Valdosta spelling was used as well), which itself was named after the Valle d'Aosta in Italy. The name Aosta (Latin: Augusta), refers to Emperor Augustus. Thus, the name Valdosta can be interpreted literally as meaning "Valley of Augustus' City". Originally, a long-standing rumor held that the city's name meant "vale of beauty." The land around Valdosta is flat. The St. Louis County Prosecuting Attorney's Office has charged a 31-year old man in connection with the shooting of a Ballwin police officer. The officer was rushed to a local hospital for treatment. He'd been with the Ballwin Police Department approximately 2 years prior to the shooting. The Tennessee Bureau of Investigation announced that its preliminary investigation revealed the suspect, a 37-year-old black former soldier, was troubled by the other incidents. All those shot were white, police said....Scott — allegedly armed with an assault rifle, a pistol and a large amount of ammunition — was wounded in a shootout with police early Thursday and remains hospitalized in serious but stable condition....Newspaper carrier Jennifer Rooney, a 44-year-old mother of two, was struck by a bullet as she drove to pick up papers for the morning delivery. The Bristol Herald-Courier reported that her car careened over a median and crashed through a chain link fence. Source.